Periods, bloating and weight gain…. Not the most fun topics to talk about, but important to mention. Also as i know that alot of people who read my blog may struggle – or have struggled with body image or food issues, and then it is even more important to talk about these things. Not to mention how things like bloating during that time of the month is completely normal, even if it can last several days and be uncomfortable. 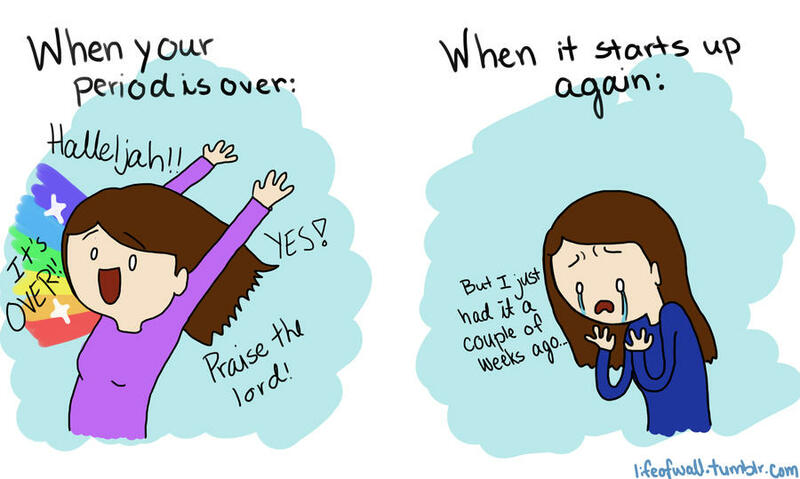 Periods… .or “that time of the month” as some people call it. For me, whenever i get my period i also get serious pain and cramps. So bad that i sometimes just have to curl into a ball and lie there until they pass. And have had times i have had to skip lectures because the pain is so bad and it radiates to my back and my whole body. (I am pretty sure having pain this bad isn’t normal, but i have yet to actually talk to anyone about it.) Also let’s not forget the mood changes and extreme tiredness that also happen. But it is not just pain and cramps, it is the bloating and hormonal skin flare up…. not to mention the increased appetite. These three things, i.e i get VERY bloated and hold alot of water, not just in my stomach but the rest of my body as well. My face gets a bunch of hormonal spots, and i feel like i am non stop hungry. It’s funny how i never really make the connection between these three things and “that time of the month”. It is always when i get my period and the those three things go away that i realise… oh now i know why i was so bloated. I am not the type of person who sees having a period as a beautiful thing…. i.e many women see their menstrual cycle as a beautiful thing as it means that they can (hopefully) have children, and also that their body is healthy. For me… it is just an unwelcomed pain and disturbance in my life which i would rather not have – and would gladly skip it. Though not having a period would most likely be a sign of an unhelathy or unbalanced body, or having too much/too little hormones which can interfere with your period. So even if i hate that time of the month, i can atleast appreciate the fact that it means my body is working as it should – hopefully. So let’s talk about the bloating, because i know that many can find it uncomfortable and tough. Not only are you already extra sensitive because of the hormones, but the bloating can make you feel uncomfortable and feel not like yourself. I have posts about bloating HERE and HERE(tag). They are mostly about bloating in recovery, but may be helpful. The important thing to remember is that the bloating and water retention will pass. It won’t last forever, even if it can sometimes feel like it. I wish i could give some tips on how to make the bloating go away, but the only tips i can give is: Keep drinking plenty of water – peppermint tea, chammomile tea and green tea can help, limit amount of salt eaten, exercise if you can. Some people think that drinking lemon water can help them, and things like chewing fennel is supposed to help debloat. Also avoiding foods you know bloat you. The bloating and water retention is due to the change in hormone levels… so there is no real way to affect the bloating, without also changing the hormone levels. But wearing comfortable clothes, maybe fixing your hair or make up to sort of “compensate” can help. Also, just accepting how you look/feel. For me personally, the worst thing is the feeling…. the feeling of being 2 times the size i am, not feeling like myself and the constant tiredness which make me feel unproductive and like i am not doing enough. But the feeling DOES pass. Some people find that yoga, meditation and exercise can help them both with bloating and pain! What about the hunger….? There are lots of things happening in your body during your period and your body does use more energy, so it is not strange that you feel extra hungry. But also if you are feeling very tired then the tiredness can lead to feeling extra hungry because food=energy, and your body/mind knows that. Eat more if you are hungry, the extra hunger will pass as your hormones balance out again after your menstrual cycle. I feel like the only way to balance out hormones and not get PMS or your menstrual cycle is to take hormones, but because of past experience with birth control and taking hormones i am not a huge fan of them. I worry about the side effects which makes me very hesitant to take them. I do suggest that if you have extremely bad period pain you should go to a doctor and check up on it incase it is something such as endometriosis or even PCOS. But also if you don’t have a period or have had an irregular period you should go to a doctor and check up on it. Having a period is a sign of a healthy body and that everything is working as it should. (This is of course a note to myself as i should go to a doctor and check up on things). Why am i writing this post…? Well to remind you that the bloating and water retention will pass, your extreme hunger and non-stop-hungry feelings will pass, and the other symptoms will also pass. Don’t freak out or take it out on your body just because you are bloated. It will pass! Take some time for self care instead – take a long bath or shower, drink some tea, wear comfortable clothes, put on a facemask, eat your favourite foods. I really wish i could give some better tips…. but i guess the only really thing is to deal with the symptoms each month. Some people get no symptoms, and i get symptoms for c.a 2 weeks each time i get my period… so it varies from person to person how bad the symptoms are, as well as what actually helps. 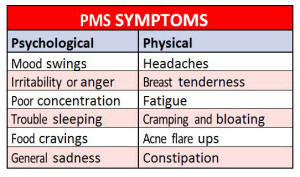 From what i have heard, all the extreme PMS symptoms do lessen the older you get (hopefully), but also that if you do struggle alot with PMS or lots of pain in combination with your period, then maybe you should talk to a doctor. Previous Post Good food = good mood | Listening to your body | Perfect diet and balanced intake? Next Post Vegan spinach-tofu pizza rolls! For some people – myself being one of them – taking Evening Primrose really helps with PMS symptoms. I might have to try that, thank you! I think the best thing would be to go to a doctor (or gynecologist) to see if maybe you need some hormones to kick start your period again. But also BMI 19,6 really isn’t that high. You could infact try to gain some more weight and see if your period comes back…? The longer you go without a period the higher risk of consequences. I understand completely, it is kind of nice to not have a period, but having your period does mean that your body is healthy and functioning and there are certain risks related to not having a period. Being sick with an eating disorder is an extreme stress for your body, so it does take time for it to recover and feel safe enough, however after 2,5 years your period should have come back, so once again… i do think going to a doctor would be a good idea. For some people they are healthy and their body is still working/ovulating i.e you are still fertile but you just don’t get a period, so it could be a good idea to get checked!